At Saturday’s meeting, attended by 25 interested parties, 16 stakeholders and residents spoke for or against re-opening 7th Street, reiterating in person arguments reported previously on this blog: http://bit.ly/2uOmJT5 Also, it emerged during the meeting that several Eastern Market food service vendors had withdrawn their support for re-opening all of 7th Street, reversing their position on a “position paper” circulated last week by Tommy Glasgow of Market Lunch, in support of re-opening. The hesitation of the brick and mortar outlets is understandable. First, there is the uncertainty of how the Hine Project retail will regard a row of tents set up in 7th Street in front of their (likely) high-end retail/food service venues. Setting up in the middle of the street may not be feasible – the brick and mortars fear the superior clout of the Hine retail will push the tents back on their side of the street. 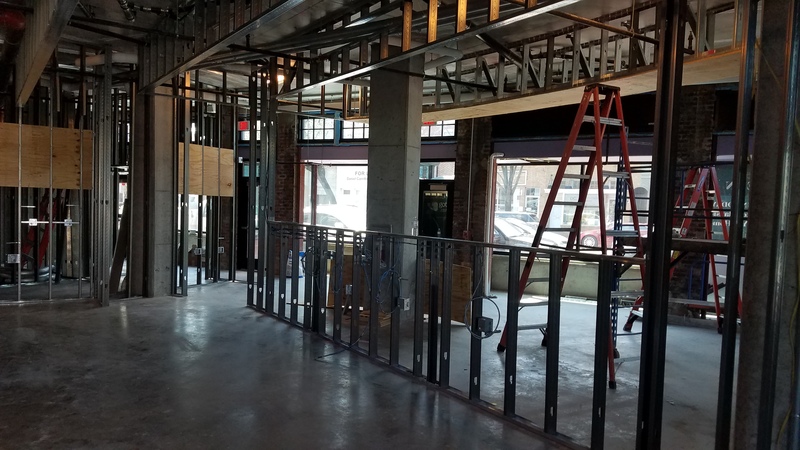 In addition, there is concern that programming of the block will bring direct competition for their shops – like the Sunday flea market allowing Vigilante Coffee to set up nearly in front of Peregrine. 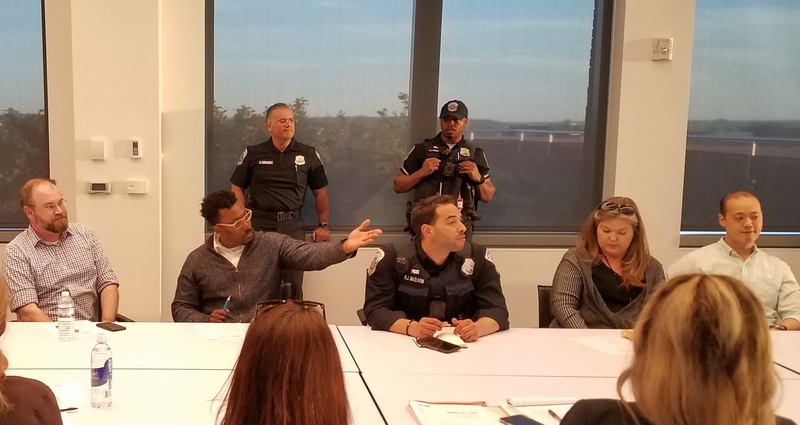 EMCAC and ANC6B are the government entities which will carry the community commentary to the Department of General Services and the Department of Transportation who will determine whether the street remains closed. 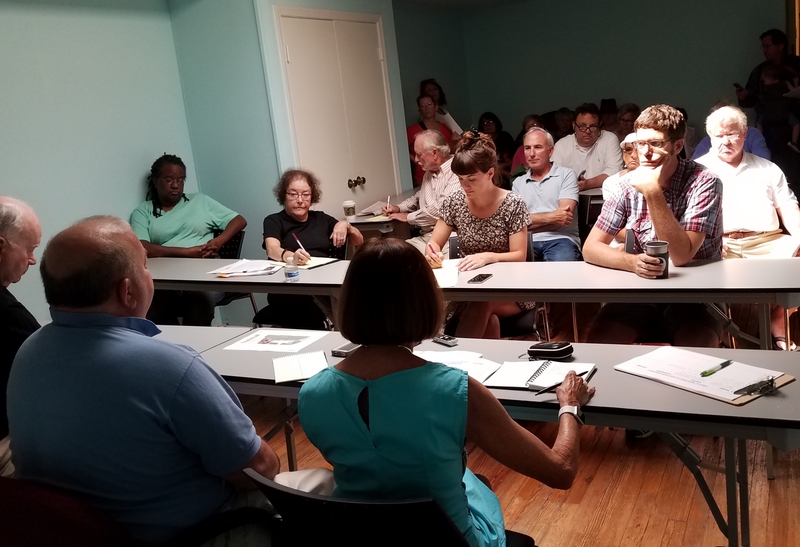 EMCAC will hold a second meeting at 7:00pm on Tuesday, August 15, in the North Hall of Eastern Market. 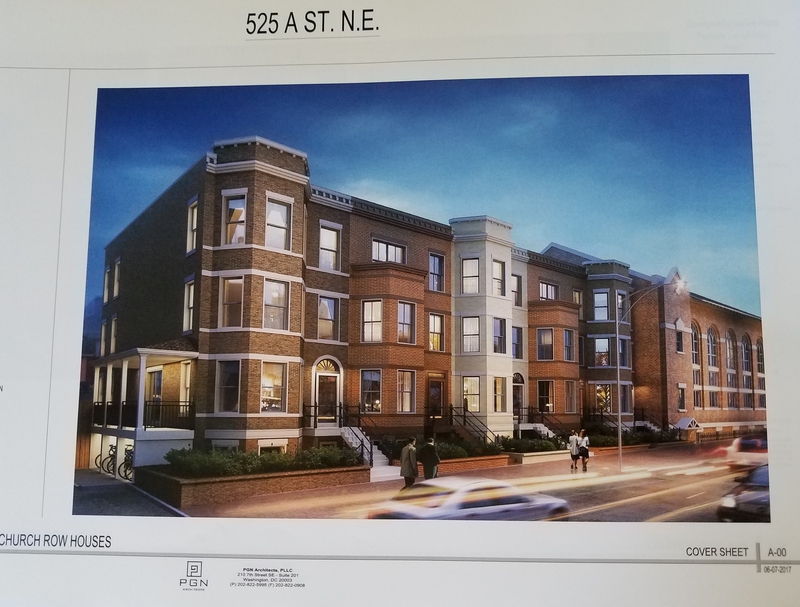 ANC6B will consider the future of the 300 block of 7th Street, SE, at a special meeting on Tuesday, August 29th, 7:30pm at Hill Center. Common sense will prevail. The initiative to reopen the street really has no chance now, if it ever did. The initiative was misguided; the divide was bitter. I hope their is way to address the misplaced fear at the origin of all this, and begin to reconcile. Explain how opening the street to weekend traffic will help the inside food vendors?It won’t and it will hurt the art/crafts vendors and the residents who love our pedestrian lifestyle which exists on CLOSED streets such as 7th St SE. Food vendors are complaining that folks can’t lug home big bags of food on foot BUT YET THEY don’t provide shopping carts inside to people who might want to shop big anyway (thank goodness!) I buy enough for one or two bags and walk home. I return every other day and I get my exercise doing that. I agree with Charles Allen and think that 7th street should be closed on weekends. I think in the last 15 years the atmosphere has changed for the better at the market by having the street closed from North Carolina to Pennsylvania Ave. 7th Street has become our pedestrian main street. I would like to see this closure continued. There will be commercial parking available at the Hine site and the merchants could combine to provide porters to carry the bags to the parking. Thanks Donna for doing this thankless job. I can appreciate the concerns of all the market and 7th street vendors and stores. But I also know that the atmosphere created by having this pedestrian friendly environment is an important part of what makes the Eastern Market area such a wonderful place to visit, even for those of us, like Karen, who come several times a week to shop. Our local and out-of-town visitors are always jealous of what we have. Let’s keep 7th Street closed.